Type 2 diabetes can be reversed, according to a new study published in the British medical journal Lancet. The secret? Weight loss. The researchers, who were from the University of Glasgow in Scotland, recruited 306 people with Type 2 diabetes from various medical practices throughout the United Kingdom. The subjects ranged in age from 20 to 65 and had had diabetes for no more than six years. None were using insulin. The researchers then assigned 149 of the participants to follow what they called a “Counterweight-Plus weight management program,” which began with a three-month period in which the subjects’ daily food intake was cut by about 800 calories. Physical activities were left unchanged. The total intervention lasted one year. After the year was up, the researchers discovered that 46 percent of those in the dietary intervention group were able to achieve remission of Type 2 diabetes, compared to only 4 percent in the control group. And the more weight the subjects lost, the more impressive the results. Those who gained weight had a 0 percent remission rate. 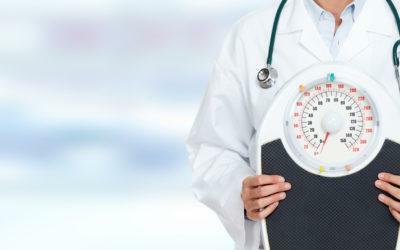 Those who lost 0–11 pounds had a 7 percent rate; 11–22 pounds brought a 34 percent remission rate; 22–33 pounds meant a 57 percent rate; and the remission rate from Type 2 diabetes for those who lost 33 pounds or more was a whopping 86 percent.